ShymkentBuild is the main and the only professional exhibition of South Kazakhstan oblast in the field of construction and finishing materials, window technology, ceramics, stone and HVAC sector. This event attracts leading companies of building complex. It is here that you can maximize the commercial potential of your company and create a memorable image of a "strong brand" in the face of the main participants of the construction market of SKO, as well as Kazakhstan and neighboring countries. ShymkentBuild is the premier regional trade event in South Kazakhstan, showcasing the latest products, technologies and services for the building, interiors, window technologies, ceramics, stone and HVAC industries. This event attracts leading companies of building complex. It is here that you can maximize the commercial potential of your company and create a memorable image of a "strong brand" in the face of the main participants of the construction market of SKO, as well as Kazakhstan and neighboring countries. Shymkent is emerging as one of the leading economic centres of Kazakhstan, with a well-developed infrustructure and a huge demand for international products and services. 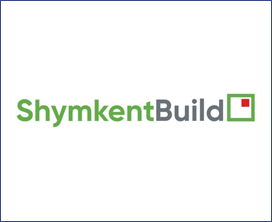 The first edition of ShymkentBuild is being launched in 2015 and is expected to further strengthen this growing market.